Published on December 19, 2014 January 3, 2015 by Rachelle J. 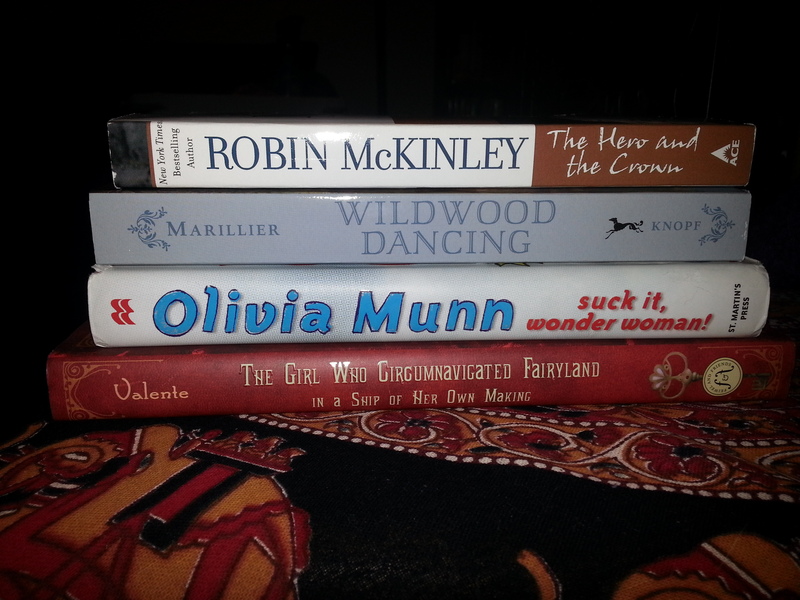 Book Outlet is a wonderful online bookstore that I recently found out about! I don’t know how they do it, but the books I bought look brand new. I thought they sold used books, which explained the low prices. On the one hand, I’m disappointed that I signed up for the No Book Buying Challenge before I knew just how awesome Book Outlet is, but, on the other, I’m very glad because without that challenge, I would probably end up even more broke than I am already. I found one of the books at Hastings while I was out with my Best Friend. I got the other 3 from Book Outlet, thanks to a $10 credit I received for Black Friday. I found as many books as I could get for $10. I ended up going just over that amount, and after adding shipping, I only spent $4.96. I looked up Book Outlet, and I’m already hooked. Thanks for the share!